For the second year in a row, the winner of FIFA “The Best” is Cristiano Ronaldo. 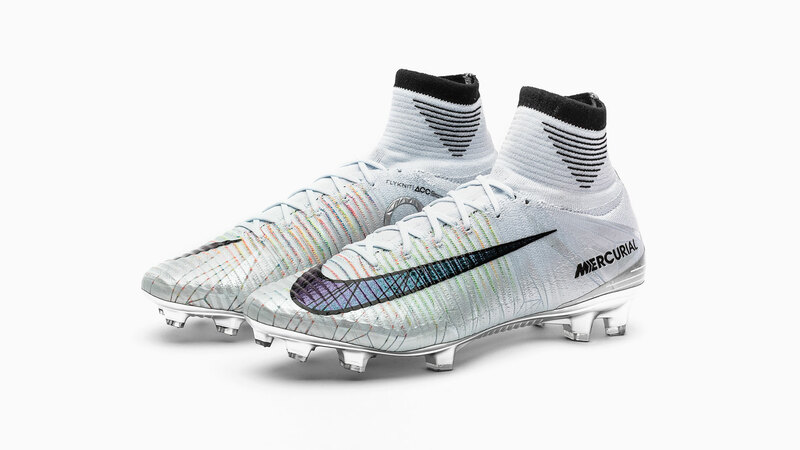 To celebrate the massive achievement, Nike release a Limited Edition Nike Mercurial Superfly for CR7 that you can check out here. Since FIFA decided to stop combining their yearly award with the Ballon d’Or prize, the biggest yearly individual honour in the world of football is now the “The Best” award. Nike have a tradition of honouring their athletes with a special signature boot, and this year they were so sure Cristiano Ronaldo would win that they have already created the Nike Mercurial Superfly V CR7 ‘Melhor’. Joining a long and glorious line of celebratory Mercurial boots for Cristiano Ronaldo. There was absolutely no doubt that Cristiano Ronaldo was the deserved winner last year and based on his trophy haul throughout the 2017, where he has won the Champions League, La Liga, Club World cup, UEFA Super Cup and Spanish Super Cup, I don’t think many neutral fans would argue against him winning it this year. It truly has been another career defining year, which sets CR7 well up for the World Cup in Russia next year, where he gets the chance to once and for all assert himself as the greatest of all time. Get your pair of Nike Mercurial Superfly V CR7 ‘Melhor’ here. Good luck! In Nike’s eyes he has already reached GOAT status and the release of the Mercurial ‘Melhor’ will be the fifth time they celebrate CR7 with a special boot, following iconic Limited Editions like the Rare Gold and Vitorias. The 2017 Nike Mercurial Superfly V CR7 ‘Melhor’ is based on the current Chapter 5: Cut to Brilliance boot, but has been blinged up and upgraded in a couple of eye-catching ways. Most notably is the soleplate, which now features a beautiful chrome finish. Other differences include the famous Swoosh, the heel detailing and inlay sole that are all different. All together it is a very different experience to hold the Melhor and it will undoubtedly be one of the toughest Nike football boot in recent years to get your mits on. Unisport will get a large part of the boots made worldwide and that is why you will need to be ready tomorrow, when they are made available on our site. First come, first served!